Seems to be just what I need. Great seller! Item shipped fast accurate description. Excellent transaction! Great blower, great product !! Everything I expected, super blower, makes my clean up alot faster !! Another quality product from Milwaukee . Plenty of power to move debris . 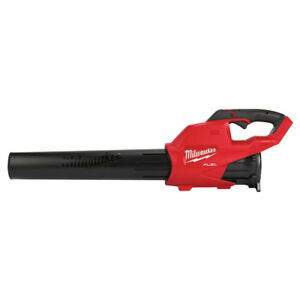 Love this Milwaukee blower! The sound is loud in the high speed though. Ear plugs recommended. Very light, i am using my 4.0 batteries, because I already have them. It works well for a long time. Better than expected.